Jeepers creepers,will keep my peepers open for that. Icy white methane clouds cast their shadows on planet Neptune's deep blue atmosphere 50km (30 miles) below. Neptune is 4 billion kilometres from Earth and is the furthest planet from the Sun in our solar system. Voyager 2 took this image as it flew past in August 1989. The beautiful deep blue Neptune, fitting colour for a planet named after the god of the sea. Both Vogager 1 and 2 are leaving the solar system and will travel for a near eternioty through interstellar space. It's a spectacle that won't repeat for another century â€” the sight of Venus slowly inching across the face of the sun. So unless scientists discover the fountain of youth, none of us alive today will likely ever witness this celestial phenomenon again, dubbed a "transit of Venus." It's so unique that museums and schools around the globe are hosting Venus viewing festivities â€” all for a chance to see our star sport a fleeting beauty mark. Even astronauts aboard the International Space Station plan to observe the event. Venus will appear as a small black dot gliding across the disk of the sun. As in a solar eclipse, do not stare directly at the sun; wear special protective glasses. The entire transit, lasting 6 hours and 40 minutes, will be visible from the western Pacific, eastern Asia and eastern Australia. Skywatchers in the United States, Canada, Mexico, Central America, and the northern part of South America will see the beginning of the show before the sun sets. Europe, western and central Asia, eastern Africa and western Australia will catch the tail end after sunrise. Those who don't want to leave their homes can follow live webcasts by NASA and various observatories. "Anything silhouetted on the sun looks interesting. Seeing Venus is extremely rare," said astronomer Anthony Cook of the Griffith Observatory. Perched on the south slope of Mount Hollywood in Los Angeles, the observatory is girding for heavy traffic Tuesday afternoon as throngs were expected to peer through telescopes with special filters set up on the lawn. Skygazers who want the full experience are flocking to Hawaii, considered one of the prime viewing spots since the whole transit will be visible. From the world-famous Waikiki Beach on Oahu to the summit of Mauna Kea on the Big Island, eclipse glasses will be passed out so that people can safely see Venus crossing without damaging their eyes. Just remember to have patience. "There's no one big climatic moment. It takes longer to happen" than a solar or lunar eclipse, said Larry O'Hanlon, who does outreach at the W.M. Keck Observatory on the Big Island. The second planet from the sun between Mercury and Earth, Venus is about the same size as Earth. It appears as one of the brightest objects in the night sky because its thick clouds reflect much of the sunlight back into space. There will be no obvious change to the brightness of the sky during the event; Venus only blocks out a tiny fraction of the sun. 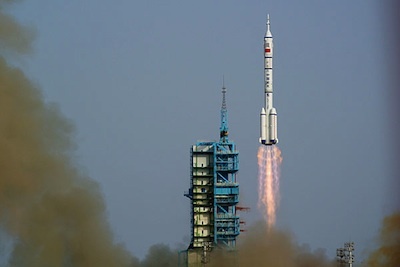 "You have to know it's happening," said David DeVorkin, a senior curator at the Smithsonian's National Air and Space Museum. Venus is the third celestial show to grace the sky in less than a month. Just a day earlier, a partial lunar eclipse will be visible from western North America, South America, Australia and eastern Asia. And there was the much-hyped "ring of fire" solar eclipse on May 20. Unlike eclipses, Venus transits are truly rare. They come in pairs, separated by more than 100 years. The last one occurred in 2004 and next pair in 2117 and 2125. Since the German astronomer Johannes Kepler first predicted it in the 17th century, only six have been observed. The upcoming one will be the seventh. Only two people were said to have seen the transit of 1639. The 1882 transit was a bigger deal â€” people jammed the sidewalks of New York City and paid 10 cents to peek through a telescope. John Philip Sousa even composed a score called "Transit of Venus March." The one in 2004 was viewed by millions â€” in person and online. University of Alabama astronomer William Keel was determined not to miss the 2004 transit, the first one in 122 years. But he only caught 45 minutes of the action before clouds rolled in. This time, he plans to set up telescopes on the roof and hopes for clear skies. The early Venus viewings were a big deal to scientists who used the alignment to measure the size of our solar system. The technique is still used today to search for alien worlds outside our solar system. The Pale Blue Dot - Earth as photographed by the Voyager 1 spacecraft from over 6 billion kilometres away. Yep. In that tiny dot is all our lives, all our hopes, dreams and fears, all of our experiences. We are really so little in the overall vastness of the universe. As a grain of sand on a beach we are that,but as a dot? I doubt it,we have too much spirit spurting through us to be just that,we have a spark that is divine,and that suits and soothes some of just fine in,in body Spirit and mind. An asteroid the size of a city block is set to fly by Earth today (June 14), and you may be able to watch it happen live. The near-Earth asteroid 2012 LZ1, which astronomers think is about 1,650 feet (500 meters) wide, will come within 14 lunar distances of Earth Thursday evening. While there's no danger of an impact on this pass, the huge space rock may come close enough to be caught on camera. That's what the team running the Slooh Space Camera thinks, anyway. The online skywatching service will train a telescope on the Canary Islands on 2012 LZ1 and stream the footage live, beginning at 8:00 p.m. EDT today (0000 GMT Friday) â€” the time of closest approach. 2012 LZ1 just popped onto astronomers' radar this week. It was spotted on the night of June 10-11 by McNaught and his colleagues, who were peering through the Uppsala Schmidt telescope at Siding Spring Observatory in Australia. Researchers estimate that the space rock is between 1,000 and 2,300 feet wide (300-700 m). This evening, it will come within about 3.35 million miles (5.4 million kilometers) of our planet, or roughly 14 times the distance between Earth and the moon. Because of its size and proximity to Earth, 2012 LZ1 qualifies as a potentially hazardous asteroid. Near-Earth asteroids generally have to be at least 500 feet (150 m) wide and come within 4.65 million miles (7.5 million km) of our planet to be classified as potentially hazardous. 2012 LZ1 is roughly the same size as asteroid 2005 YU55, which made a much-anticipated flyby of Earth last November. But 2005 YU55 gave our planet a much closer shave, coming within 202,000 miles (325,000 km) of us on the evening of Nov. 8. A space rock as big as 2005 YU55 hadn't come so close to Earth since 1976, researchers said. Astronomers have identified roughly 9,000 near-Earth asteroids, but they think many more are out there. "We will most certainly find more as NASA, along with other space agencies and astronomers, are on a constant look-out," Berman said in a statement. 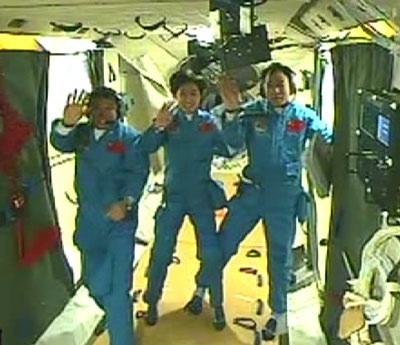 Three Chinese astronauts - including China's first woman astronaut - have successfully docked with and entered their experimental mini space station currently in orbit. This is a proud moment for China. It seems that after 35 years, Voyager is the man-made object to have left our solar system. It was detected by the detection of a spike in cosmic radiation bombarding the probe, after it crossed to the other side of the radiation-protecting heliopause. I had a car like that once but I got rid of it. 35 yrs indeed! 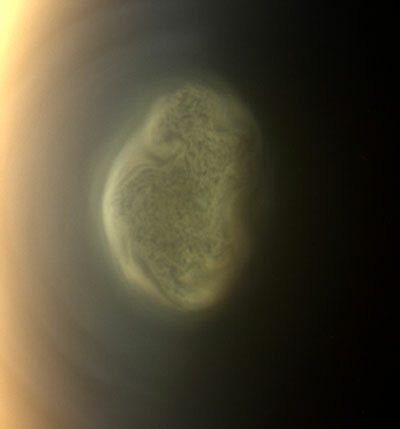 The South Polar atmospheric vortex of Saturn moon Titan as photographed by the Cassini orbiter. Titan is the only other solar system body apart from Earth known to have rivers, seas and lakes on its surface. Behold the landing site of Curiosity on Mars, the maginificent Gale Crater in full colour. The mountains in the distance are actually the rim of Gale crater and are 3,000 to 4,000 metres high. More amazing images to come in the coming week!